Do you ever wonder what your socks are made of? What exactly is a "performance sock"? Socks aren't the performers, are they? Since when do socks have "smart technology"? What makes them so technological? What makes them smart? These are the questions we asked ourselves before designing our own socks. We were tired of the mysteries. Socks in this day and age are riddled with synthetic materials such as polyester, elastic, nylon, elastane, spandex, polyamide, plastic, rayons.. the list goes on. All so that companies can promise you an array of features that you didn't even know your feet needed (they don't). In fact, these materials actually decrease the breathability of your socks by trapping moisture and blocking evaporation. And since synthetics are not absorbent in any way, that moisture has nowhere to go. (Think: bacteria thrives in dark, damp environments). But rest assured that your plastic socks will last decades (and so will your blisters). 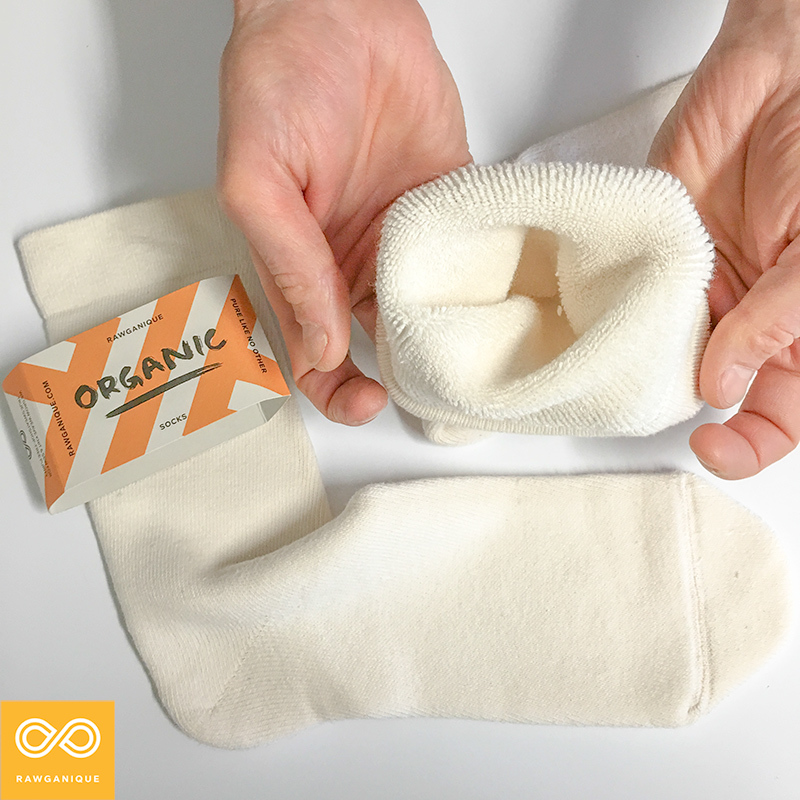 It's time you gave organic socks a try. No synthetic fibres, no finishing chemicals - only pure, natural, 100% organic hemp, linen, and cotton socks. But which one is best for you? The Schuberts are a classic. Cotton is always the go-to, as it is soft, naturally stretchy and resilient. The Schubert socks are the untreated creamy white color of organic cotton. The insides are a cozy terry material that adds cushioning to every step. But if you suffer from problems such as sweaty feet, stinky feet, Athlete's foot, and the like, I'm here to tell you that cotton may not be the best solution. I know, I know. Everything is made of cotton these days, so it's only natural to question something that isn't. Let me explain. Cotton fibers are thin and fluffy, allowing them to be knitted very tightly together. Cotton fabric can actually trap heat in a similar way that synthetics do. Cotton does have the advantage of absorbency, however, and it will absorb up to 100% of its weight in moisture. The issue is, cotton could hang on to that moisture all day. Organic cotton is certainly one of the three natural fibers we work with at Rawganique. We love that it's soft, stretchy, and pure. But when it comes to wicking away moisture, there are a couple of other, more breathable organic alternatives. Like the Schubert socks, the Dvorak and Schumanns feature organic hemp and linen terry on the inside for extra comfort and thickness. While organic hemp and linen may not have the same elasticity as cotton, the breathability aspects make them special. 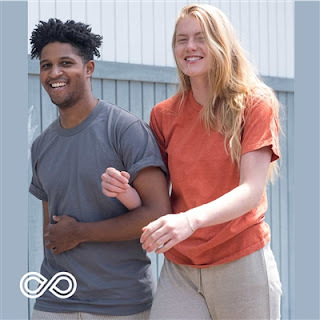 Hemp and linen are also naturally anti-microbial, and are capable of absorbing up to 150% of their weight in moisture, then wicking that moisture away much more effectively than cotton. 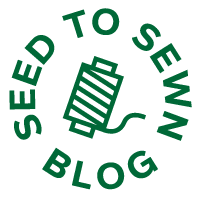 (*So your feet can get in and out of the socks, there are a couple of strands of elastic sewing threads at the cuff and toe seam - the fiber content of the terry itself is 100% organic cotton, 100% organic hemp, or 100% organic linen). Corporations have convinced the world that they need synthetic "smart" fibers in their clothes for stretchability and temperature regulation, among other things. But that's simply not the case. Human-made substances and materials such as synthetic micro fibers, chemicals, and plastics are not meant to be worn close to your body day after day. Doing so may compromise your health in more ways than one, and your stinky, sweaty feet are an indicator. So, if you suffer from cold feet or poor circulation and want a pair of socks that will trap your body heat in, as well as offer stretchy, cozy fabric, try our Schubert Organic Cotton socks. If you suffer from sweaty feet and want a pair of socks that will breathe and keep your feet comfortably dry all day, try our Dvorak Organic Hemp or our Schumann Organic Linen socks. This perfect trio will solve all of your foot problems. 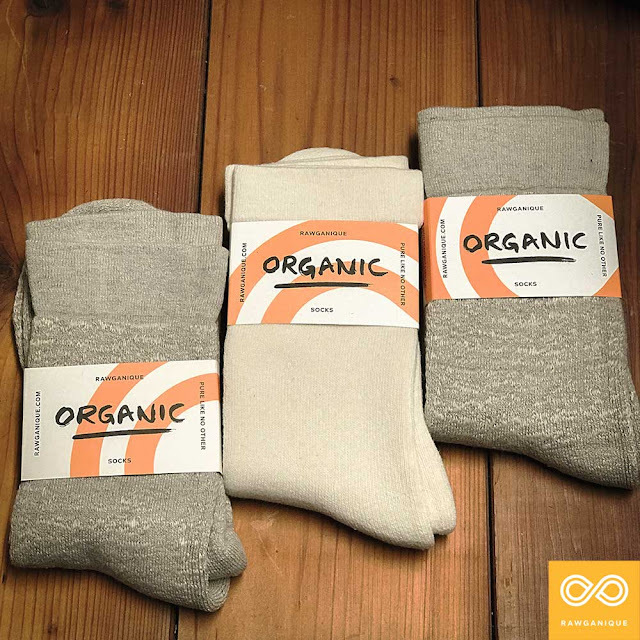 Treat your feet and stop the stink, shop our selection of organic elastic-free socks today!